With innovative designs and contemporary finishes, Oggi’s kitchen, bar and bath wares are truly tomorrow’s house wares today. Oggi’s 10-Piece Stainless Steel Bar Set with Rectangular Stand is no exception. Black stand and cutting board. Stainless steel tools with black accents. 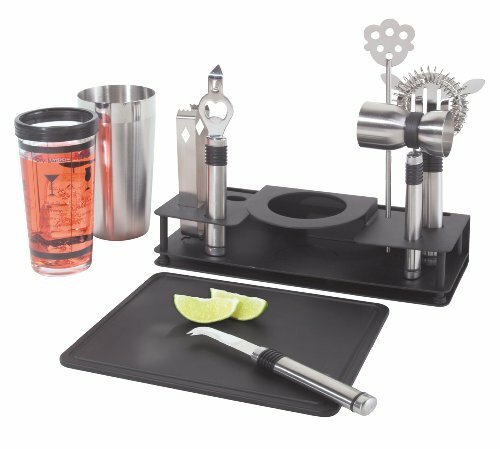 Set includes a two-piece glass and stainless shaker set, double jigger, lemon / lime slicing knife, bottle cap lifter, cocktail strainer, stirrer, tongs, chopping board and a rectangular stand. 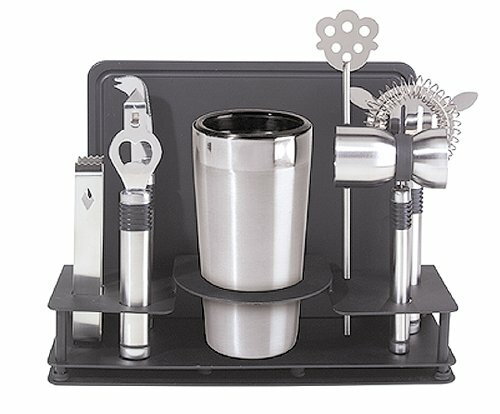 Set is great for home bars and parties.